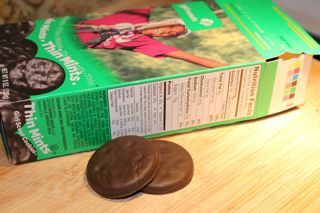 I realize what I am about to say is pure heresy in the United States of America: I am not going to buy Girl Scout Cookies this year. Maybe forever. As a fan of the tasty cookies, I do not relish my decision. However, over the last decade I have grown increasingly uncomfortable with the practice of youth sales of unhealthy products in the face on an increasingly disturbing childhood obesity epidemic. I am not saying I will stop supporting Girl Scouts and other youth organizations. I will continue to contribute monetary donations to the organizations I’ve supported in the past through their sales. Just this past weekend I gave money to a troop selling cookies outside my local supermarket. With near epidemic proportions of childhood obesity, Type 2 Diabetes and other dangerous diseases in the U.S., youth organizations need to take a leadership role in advocating for healthy eating and lifestyles. That means taking sugar and fat-laden products out of kids’ hands, stopping the practice of rewarding children and teens for high sales of the unhealthy products, and finding an alternative, healthier, fundraising method. 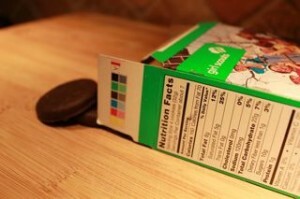 According to the Girl Scouts 2010 annual report, three million girls sold 198 million boxes of cookies. I hate to tell you this, but at an average of 1,060 calories per box, that’s more than 209 billion calories. The organization earned $714 million that year. Childhood obesity has more than tripled in the past 30 years. The percentage of children aged 6-11 years in the U.S. who were obese rose from 7 percent in 1980 to nearly 20 percent in 2008. Adolescents aged 12-19 who were obese increased from 5 percent to 18 percent over the same time period. Obese youth are more likely to have risk factors for cardiovascular disease, such as high cholesterol or high blood pressure. Obese adolescents are more likely to have prediabetes. Obese youth are at greater risk for bone and joint problems, sleep apnea, and other issues. Obese youth are at greater risk of being obese adults, making them at risk for heart disease, a whole array of cancers, and other troubling conditions. In 2011 a group of retired Army generals released a report, “Too Fat to Fight,” which said childhood obesity is a direct threat to national security. They essentially declared war on childhood obesity, to ensure that there are enough healthy young adults in the future to defend the country. For those who cry, “Nanny State!”, I argue we are way past debating this issue and we now have to catapult into action. A century ago people thought smoking had health benefits. We know better, so we resolved to do better. We now know better when it comes to unhealthy foods. Now it’s time to do better by our kids. Girl Scout cookies are sold for a short time every year, and are considered a snack treat. As with all treats, they should be enjoyed in moderation. Starting with our youngest members, the Girl Scout organization promotes a healthy lifestyle for its girl members, which includes a well-balanced diet and plenty of exercise. Our health and fitness programs encourage girls to adopt healthy fitness and eating habits early in life and continue them into adulthood. Girls are also taught to consider ingredient contribution to their overall diet and portion size when choosing snacks. The group teaches youth about a healthy lifestyle, while at the same time encouraging members to sell products that are filled with unhealthy ingredients in the face of a serious national health epidemic. It doesn’t wash anymore. As a child and teenager I spent 10 years in Camp Fire Boys and Girls selling thousands of boxes candy. When my children became old enough to join, I spent another dozen years or so as a leader, and later an executive board member of our local chapter. All together that’s more than 20 years of annual candy sales, and many thousands of boxes of candy. I’ve knocked on numerous doors and spent hundreds of hours in front of supermarkets and banks, sometimes in the wind, rain and cold. I’ve bought more candy, and cookies, than I’m willing to admit to, and seen the needle on the scale inch upwards during the sales. I’ve seen youth product sales from all sides of the equation. About 10 years ago when childhood obesity was starting to get play in the news media, I suggested to the local Camp Fire board of directors that we take a stand and stop selling candy. The suggestion went over like the proverbial lead balloon. I was, after all, asking them to buck nearly a century of tradition. And the national organization had made it complicated to exist without participating in the annual sale. To step away from selling candy meant finding an alternative fundraiser that would bring in the lion’s share of our funding for the year, and pay for “buying out” of the national sale. Since that time I have continued to buy candy and cookies from friends and any smiling child or teen or knocks on my door or greets me at the local supermarket. But it’s always gnawed at me that maybe we really shouldn’t encourage the sales of unhealthy products by children, for children. 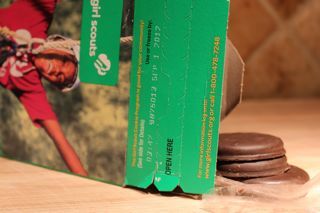 I would like to see Girl Scouts take the lead by developing successful alternatives to the cookie sales fundraising. I’m sure those who lead Girl Scouts could partner up with some pretty bright people who could help them think of new ways to raise money, as well as build loyalty among donors. I hesitate to suggest some sort of fitness fundraiser, since everybody and his brother seems to have a walk/run/marathon. But maybe Girl Scouts could come up with a desirable premier event that can compete with other fitness-type events. Or, as a compromise, why not take the sales out of the hands of the youth by moving it all online, or come up with a licensing deal with a national bakery and sell in stores for a limited time each year? 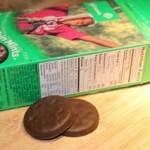 Those who really want their Thin Mints, Samoas, Tagalongs and Do-Si-Dos can still have access to them. As for teaching youth important sales and fundraising skills, those can be built into the curriculum through other projects and activities. Do I realistically think Girl Scouts will stop selling cookies? No. It’s hard to walk away from more than $700 million in annual revenue. It’s also hard to do away with a time honored and treasured tradition. Despite the tradition, the money for an intrinsically good cause, and the tasty cookies, this is where I get off the train. And hopefully more people will step off as well, eventually forcing youth organizations to head in an entirely new direction when it comes to fundraising. See my 2013 post on why I’m still not buying Girl Scout Cookies. 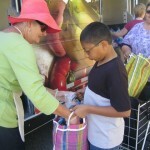 Friday is "National Girl Scout Cookie Day", a huge media blast to ..
Each month we offer up five suggestions of how to be a ..
Food Bank and Health Clinic Sow Seeds of Good Health ..
San Jose pediatrician Daniel Delgado has a big problem. His young patients .. I am glad I found you. I am a new Girl Scout leader and I am uncomfortable to start selling the cookies for the same reasons you just mentioned. I just asked my mentor if I can back out from selling cookies and I asked for other fundraising options. I don’t know what they would say but I just couldn’t encourage this kind of fundraising to increase more diseases and obesity. Good for you, Shanada! I wish you well in your stance against selling cookies. I found this post you might find helpful: http://www.mnn.com/food/healthy-eating/blogs/california-girl-scout-troop-wont-sell-cookies-citing-health-reasons. curent girl scout products are tasty but toxic. The cookie sales program encourages poor dietary habits among the girl scouts and will only contribute to the obesity epidemic. Why not sell fresh fruit – i’ll buy it. Good points, Dan. Thank you for your comment! Selling healthy alternatives would be a great idea. It is not our job to ‘prevent obesity’ it is the parent’s job. We do NOT need to make decisions for other people. 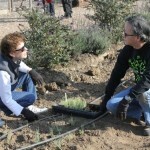 While the girl scouts are selling cookies they learn entrepreneurial skills. If ‘we’ took this away and replaced it with a fitness fundraiser or online sales, we would miss a great time to educate our youth on business management. Thank you for you comments, Rainbeaux. I agree that entrepreneurial skills are important, but those can be taught through the sales of any type of product; Junior Achievement is a good example of this. I also agree we don’t need to make decisions for other people, and if Girl Scouts was a for-profit company, I wouldn’t have an issue. I’m suggesting that as a nonprofit youth organization, it should take a stand and set an example for the youth it serves. And while I use Girl Scouts as an example, I question all schools and youth organizations that rely on the sale of unhealthy foods for fundraising. Well, the parents are free to choose to feed their children all the crap they want ,aren’t they? If they don’t care how much sugar, HFCS, chemicals and food colors they eat why should we? Great attitude! The problem is that the Girl Scouts have no choice to sell something different. They should at least have a healthy alternative available for those of us who actually care about what our children are fed (since they don’t really get a choice when parents buy them crap). If I wouldn’t eat it I am not okay with selling it to other people.